KidsFont© was developed to provide a font in the style that children are taught to print. KidsFont© is a complete Font Set and is available for free download. This sheet is to help children learn to Print the Digits. 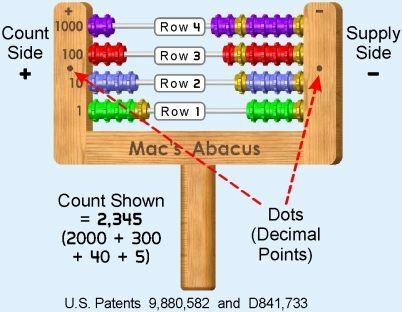 It is located near the back of Mac's Abacus Basic Workbook, and may be copied as often as needed. Starting with the large number sets (at top) try to trace between the lines of each number. Once your child can roughly trace the large set, he/she should try the smaller sets. 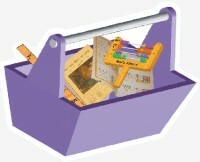 Once your child has mastered the smaller set, he/she is ready to Print the Numbers in the Workbook Lessons.